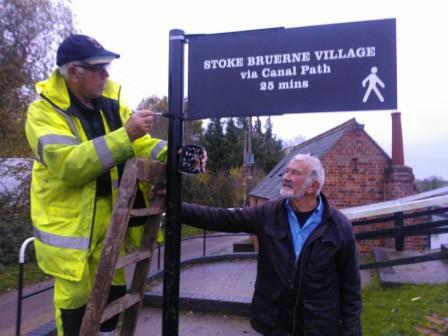 Stoke Bruerne Canal Partnership: A great volunteer effort! 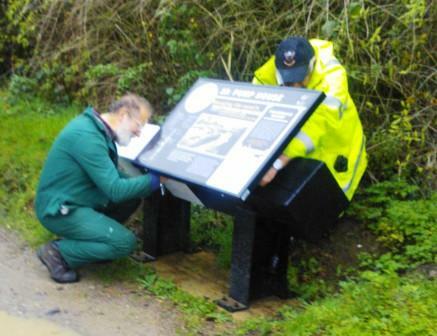 At intervals between the October and November meetings, small groups of volunteers had continued and completed the painting of the panel supporting beams, as weather had permitted. Finally, the panels themselves were assembled and bolted to the beams. Job complete, a great volunteer effort. At the main task group meeting in November, the morning began with a huge leaf clearance off the Museum green and then the focus shifted to the Lower Locks parking area where, in addition to the usual litter pick, vegetation cut back improved its appearance.